Thanks for providing all one needs for air travel with a pet! I needed a kennel to fly my boxer to Italy. 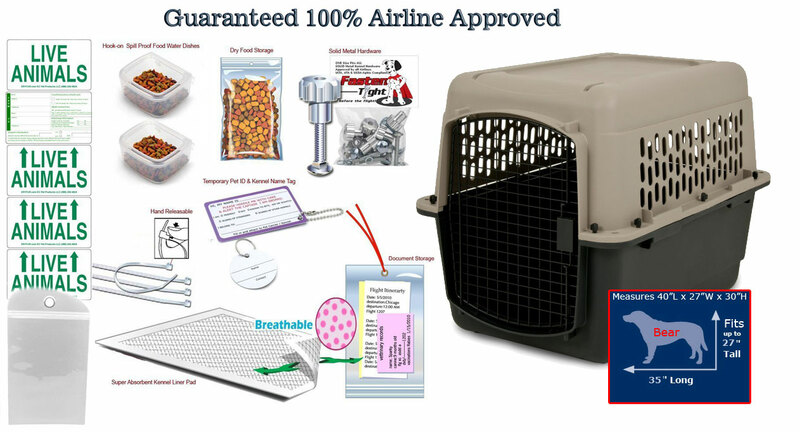 Feeling quite overwhelmed with the entire process/information for shots, certificates and kennel requirements, I was thrilled to see that Kats n Us provided a complete airline approved kit with the kennel. I couldn't be more pleased. Kats n Us took out all of the guess work and gave me peace of mind.